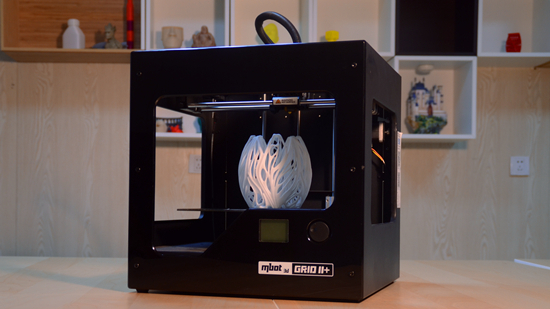 • RENEWAL——MBot Grid Ⅱ+ Desktop 3D Printer 2016 Edition Comes! MBot Grid II+ 2016 Edition is available in December, 2015. There are several upgrades based on user feedback for MBot Grid II+, the MagicFirm’s flagship. It remains robust metal chassis and enhances superior performance and user-friendly experience. Depending on the distances between the nozzle and three check points on the build bed, Grid II+ can compensate height difference or tilt angle by moving Z axis up and down when printing. In this way, raft will be easier to remove and the nozzle won’t rub when the build bed is tilt. The problem of warping will be improved. The machine will need leveling less than before. Instead of manually leveling, Grid II+ is accurately controlled by mechanical induction system. Since there are rules to follow, leveling becomes simpler and smarter. A good beginning makes a perfect print. 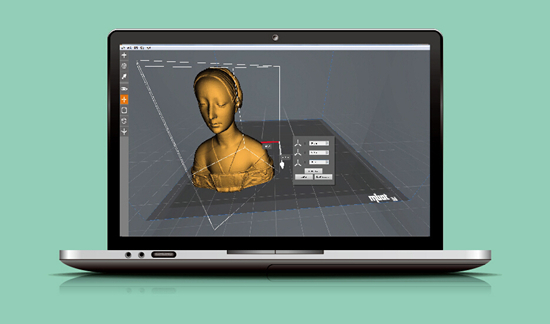 Grid II+ comes with a Filament Monitor, an add-on that detects problems while printing. When the printer is out of filament, or the filament is broken, it pauses machine, and alerts you to re-load material. As the failure caused by material is avoidable, the number of successful prints will grow. Grid II+ is equipped with towline cables to protect X-axis motor wiring and the limit switch wiring, which can effectively avoid failures when wires moves frequently on small-radius bends following the print head. Thus its service life will be prolonged. 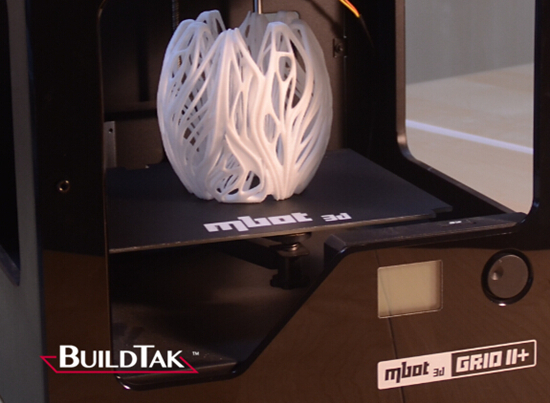 MBot Grid Ⅱ+ 2016 Edition is equipped with BuildTak, which is a thin, durable plastic sheet that adheres to the print bed. It provides an optimal printing surface for 3D objects to adhere to for the duration of a print, while allowing for a clean, easy removal of completed builds. It supports kinds of materials and is more heat-resistant. Grid II+ introduces a cooling system dedicated to PLA. 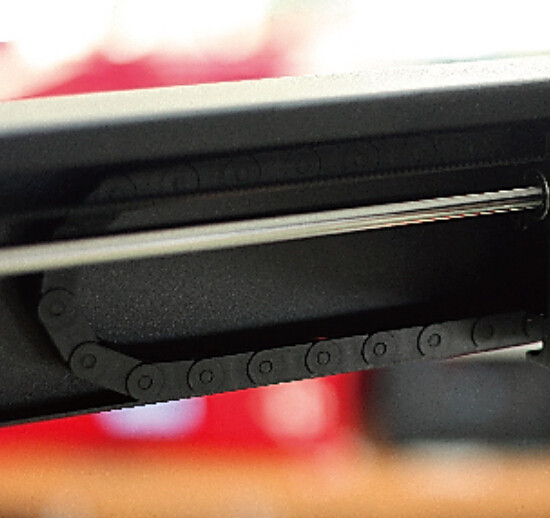 With special air-flow channel, the cooling fan blows precisely and effectively, so that the PLA can be cooled rapidly when extruding from the print head. The print quality gets better. 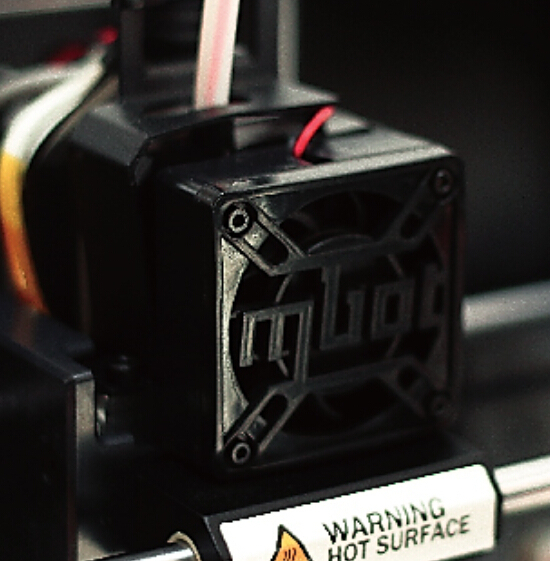 Grid II+ introduces a cooling fan for extruder motor, making sure of smooth extruding and direct cooling. The print quality keeps the same even after long-time building. In order to increase its robustness and durability, while reducing shipping risk, metal parts are added on Grid II+. Grid II+ supports colorful recycled PLA (Recommended) and ABS. Keep you away from toxic elements. Infinite inspiration, colorful creation! Brand new MPrint, which is developed by MBot3D Team, optimizes slicing speed and print quality. GCode can be generated in just a few seconds. Besides, it has great compatibility; data presentation is more user-friendly.